We believe that you are STRONG BY DESIGN. We believe you were created in God’s image to have a strong body, mind and spirit. The Strong by Design brand delivers expert interviews, fitness tips, nutrition advice, free workout sheets, supplement giveaways all while being encouraged, inspired and entertained. Brought to you by Critical Bench who reaches over 30 million fans per month between our email newsletter, YouTube and Facebook. 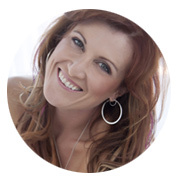 Let’s get ready to unlock your potential and transform your life! Brian Klepacki has over 16 years of experience and education in the fitness and nutrition world. 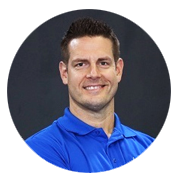 He is a Certified Strength & Conditioning Specialist and holds a Master’s Degree in Exercise Science from Florida Atlantic University. He also holds other highly recognized certifications that have set his expertise and training above most others. Brian has learned that in order for you to achieve your max performance, a multitude of training regimes must be implemented to stimulate all systems of the body. As a competitive triathlete and an international fitness author, Brian knows how crucial it is to sort through fact and fiction when it comes to fitness training and human performance. His philosophy is simple, PURPOSE OVER PREFERENCE. He is not about those big box cookie cutter programs and he doesn’t prescribe a random workout that has no purpose. His logic is specific. His training has a purpose. 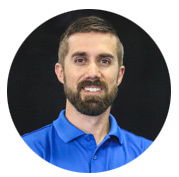 Brian currently resides in St. Petersburg, FL with his wife and their two boys and is the creator of the wildly popular Unlock Your Glutes and Crunchless Core program. Mike Westerdal is a national best-selling fitness author, personal trainer, Iron Man Magazine contributor and certified russian kettlebell instructor. 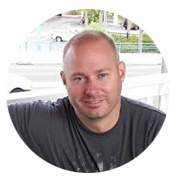 He is the founder of CriticalBench.com the Internet’s largest strength & health authority site as well as the co-creator of the wildly popular Unlock Your Hip Flexors and Foreward Head Posture Fix programs. Mike resides in sunny Clearwater, FL with his beautiful wife Courtney and their two children Karina and Lincoln. Chris has worked in the fitness industry for 20 years. He’s seen and done it all from working the front desk at health clubs to personal training to managing entire fitness facilities. He became a Certified Personal Trainer in 1999 with NASM and trained over 15,000 hours with clients from 10 to over 90 years old over a 15 year period. Chris is also an RKC (kettlebell) Instructor and a Specialist in Sports Nutrition with the ISSA. He specializes in all kinds of strength modalities such as Functional exercise designed to restore balance and improve body movement patterns as well as Bodybuilding, Powerlifting, Olympic lifting, Strongman and Kettlebell training. Chris now resides in sunny Clearwater Florida with his wife Samantha and their beautiful children Kellan and Camryn. Bodyweight VS Resistance: Which Is Best? to the 5-Minute Glute Workout and our email tips newsletter. Just enter your best email address below! Copyright © 2018 & Beyond. All Rights Reserved.